It seems that Adventure Comics were a subsidiary of Malibu comics. 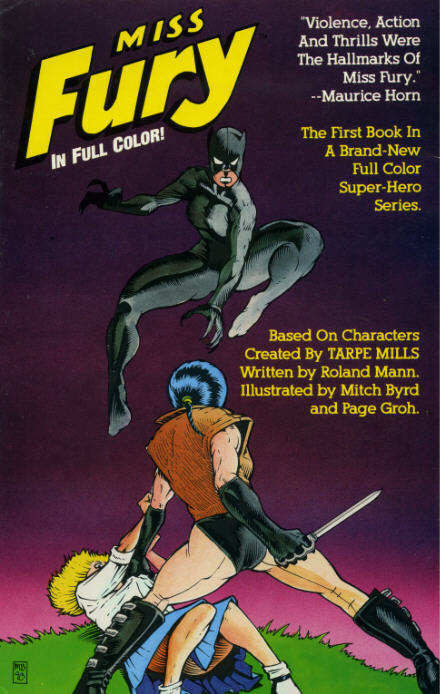 “Miss Fury” was a four issue mini series in 1991. She later appeared briefly in a Malibu Superhero team book (the title escapes me) and was then never seen again. This seems a shame as the character had potential. 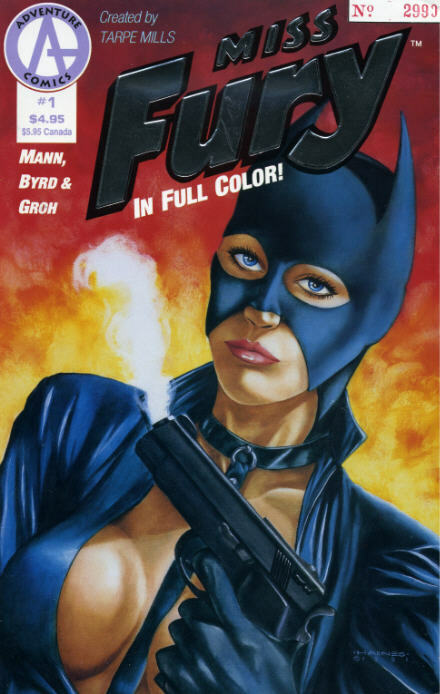 She was the grand-daughter of the original “Miss Fury” who had appeared in a newspaper strip from 1941 to 1952. 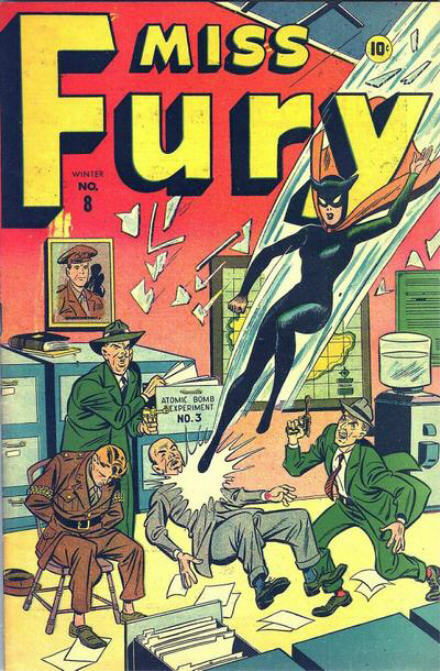 Miss Fury was one of the first female superheroes. 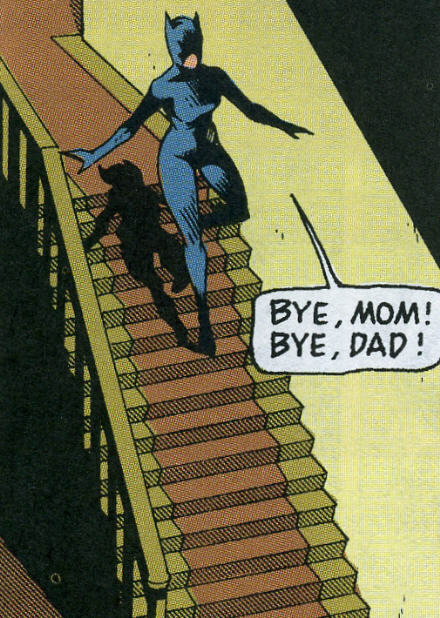 She was also one of the first female superheroes to be written AND drawn by a woman. Why has she got a cat hanging on her back?? 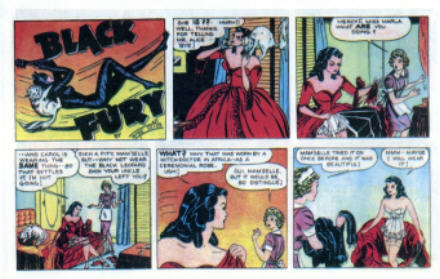 The original Miss Fury appeared in a Marvel/Timely comic between 1941 and 1945. 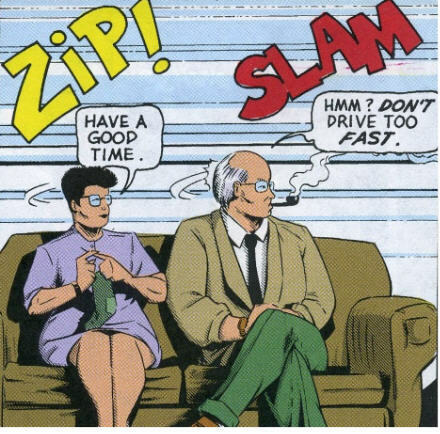 I believe the comic consisted of coloured versions of the original newspaper strips. 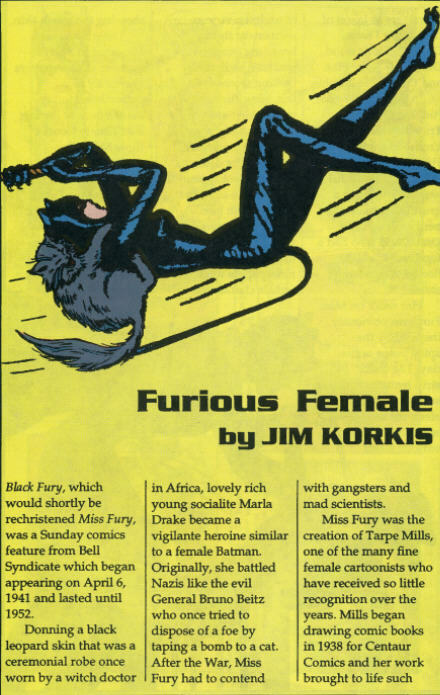 Perhaps as the material was only licensed that is why Miss Fury never re-appeared in the early 1960s when Marvel Comics re-introduced all their Golden Age characters like Sub-Mariner, Human Torch, Captain America etc etc. 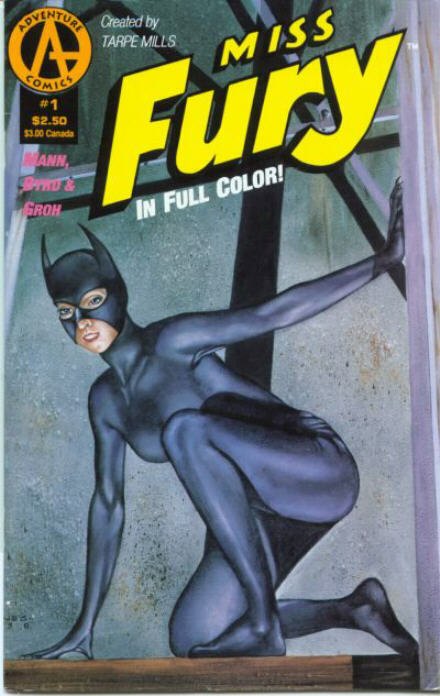 I’d have liked to see how Stan Lee and Jack Kirby would have handled a “female Batman”.